What images does “relic” conjure for you? A well-worn piece of blue beach glass, the faded pencil markings from a high-school journal, or the curmudgeonly character from the CBC television series, The Beachcombers ? Donncha Ó Caoimh is an Automattician based in Blarney, County Cork, Ireland. He’s an avid photographer, capturing scenes around the world on his blog, In Photos dot Org. Learn a little more about Donncha and the equipment he uses. We’re delighted to have him as a guest on the weekly photo challenge. 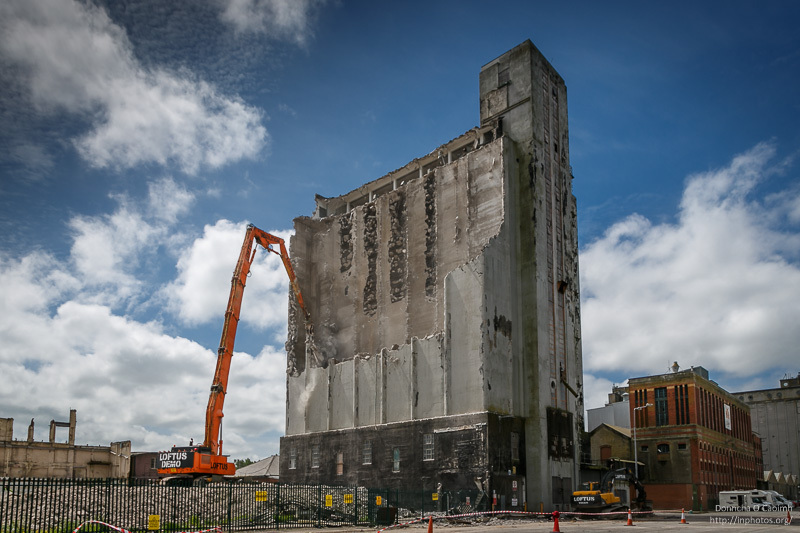 This photograph records the demolition of an old grain silo in Cork Docklands. The Docklands is an area I pass most weekends when visiting family on the other side of the city. I grew up near there. I’m familiar with some of it, so I was motivated to make this record of what the building looked like. There used to be many old factories nearby, and very tall chimneys, but I had never stopped to photograph them. That was in the back of my mind when I decided to shoot this location. By pure chance, two weeks ago, I wandered down there with my family to photograph the area so I also have some “before shots,” of the grain silo before demolition began. I will dive deep! Nice challenge ! Thank you Donncha. Here is my first entry. It is only rust that hold it together. What a coincidence! I was working on a relic as you posted the challenge! Thank you. Oh, I love this challenge. I missed you last Friday. I’ll be right back with my relic. unfortunately, i don’t do selfies. I’m going to give this some thought but there could be some great interpretations of this theme. This is really interesting prompt! And so is the photo! Fabulous topic! I’ll gather some … relics. Great to have the weekly photo challenge back, after the last week’s absence! It’s a photo I took at the Street Rod Nationals in Pueblo a few weeks ago. I was experimenting with photos of mirror reflections and this one captures a lot of the wear and tear of this lovely old car. Was just going through some pics from a recent visit to Auschwitz when this note came through. No shortage of relics there. Glad to see the new challenge. Missed this last week! Don’t know why my back link don’t show? The link seems ok, try hitting ‘Update’ in the edit. I sometimes get this problem. This is my second entry in this week Photo Challenge. This old tractor I found in Wester Australia near Carnarvon. 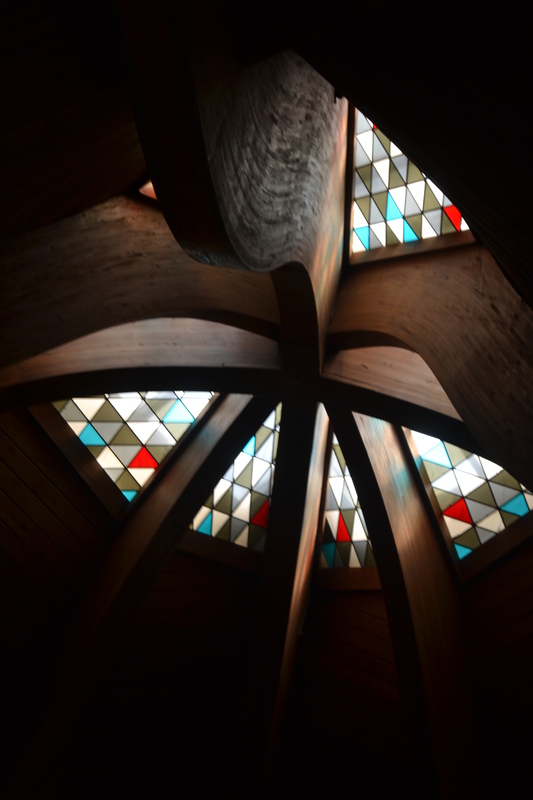 Here is my relic, the stained glass ceiling of the church I work in. Wow!! Great topic. I’ll be back with pictures from my recent trip. Yes! Relic! Fantastic theme! Will really speak to our mental health Collective! 474 Responses While this challenge is closed to new entries, we encourage you to visit the Reader to find other avid bloggers. Travel Tales of Life Split Croatia – Diocletian’s Palace – Is That a Tomb Outside My Window? Words & Pics Relic as in nostalgic? readsbyredriverbanks Weekly photo challenge: Relic. psychologistmimi Am I a relic for being at a place for ten years? Travel with Intent Is Etiquette a Relic of the Past? VITHIKA WEEKLY PHOTO CHALLENGE – RELIC. Deb's world Weekly photo challenge: Relic – looks like a good spot to park! thechangingpalette Forty Years On, and counting! Travel with Intent Relic Prevention Device! About-One-Thing Relic of a time gone by: Khajuraho group of monuments. KleesButterfly – A TravelBlog Beloved Relic(s): State Hall of the Austrian National Library. PM27's Blog RELIC — IT’S A CROCK! Pairings :: Art + What Goes With It It’s Useless to Resist These Relics. And Why Would You? Light Words Weekly Photo Challenge: Have You Ever Seen a Dove Cot? Life in the Foothills Relics – A WordPress Photo Challenge!